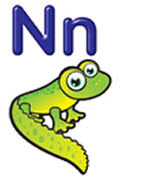 N - Learn the meaning of the financial term. The Nasdaq Stock Market is the second-largest exchange in the world by market capitalization, only NYSE is larger. Nasdaq is the oldest electronic stock market in the world. At first, it was just a quotation system. Over time, it grew into a complete exchange for stocks and other securities. Nasdaq was the first stock market in the United States to offer online trading. The normal trading session for Nasdaq is 09:30 am – 04:00 pm Eastern Standard Time (EST). There is also a pre-market session from 04:00 am to 09:30 and a post-market session from 04:00 pm to 08:00 pm. NASDAQ is an acronym of National Association of Securities Dealers Automated Quotations. Nowadays, the exchange is stylized Nasdaq. Near Money are highly liquid non-cash assets that can be quickly converted into cash. Examples of assets commonly considered near money are bonds, treasury bills, widely traded foreign currencies, and certificates of deposits and bank deposits that allow instant conversion to cash. The nearest delivery month of a futures or options market. When the financing cost of a financial position is larger than the return. NetEnt is an abbrivation of NetEntertainment. NetEntertainment is a leading developer of games and software used in online casinos. Their casino games are very popular and you can find their games in a very large percentage of all online casinos. They are specially well know for their slot machines. They have developed popular slots such as Mega Fortune, Hall of gods, StarBurst, Twin$pin, Gonzos Quest and many more. Read more about slotmachines from NetEntertainment. NetEntertainment is listed on NASDAQ Nordic. They are a mature gaming company that pay high yearly dividends. The New York Mercantile Exchange (NYMEX) is the world’s largest physical commodity futures exchange in terms of market capitalization. The New York Stock Exchange (NYSE) is the world’s largest stock exchange in terms of market capitalization. It is an international exchange where both U.S. companies and non-U.S. companies are listed. The trading session is 09:30 am – 04:00 pm Eastern Standard Time (EST). Nikkei 225 is an price-weighted index of the average value (in yen) of the shares of 225 large Japanese stock companies traded on the Tokyo Stock Exchange. The index has been calculated daily by the Nihon Keizai Shimbun (Nikkei) newspaper since 1950 and is the most widely quoted average of Japanese equities. The components are reviewed once a year. Stock price movements that cannot be explained by changes in the underlying economic or financial fundamentals. An account held by one bank in another bank, when the two banks are located in different countries. Normally, a nostro account will be in the local currency of the country where the account is kept. Example: An Italian bank holds a nostro account in a bank in Japan. The currency of the account is the Japanese yen. On financial bulletin boards, NTR is short for Not Trading Related.